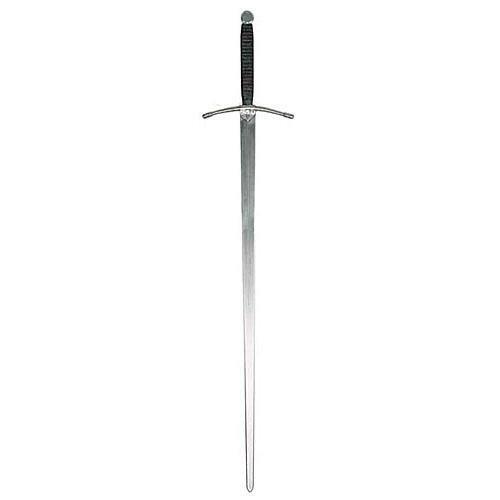 XIII Century Sword&quot;Shrewsbury&quot; sword XVth cen. Medieval sword with both hands whose use was mainly ceremonial. Blade in wrought iron to two wires with tapered edges that are firmly towards the tip. Supplied fully iron with Elso arched downward, handle of metal threads in trecciole in alternating bands and cords and knobs to disc. Two handed sword XVth cen.